Announcing Devialet’s four stores across New York City: Greene Street in SoHo, Grand Central Terminal, Columbus Circle, and BARNEYS. Web content, social media marketing, and direct email marketing. Announcing Devialet’s partnership with National Sawdust, a nonprofit arts organization in Williamsburg, Brooklyn. The campaign featured a hyper-limited edition branded Phantom, which was auctioned at National Sawdust’s annual gala. Web content, social media marketing, and direct email marketing. 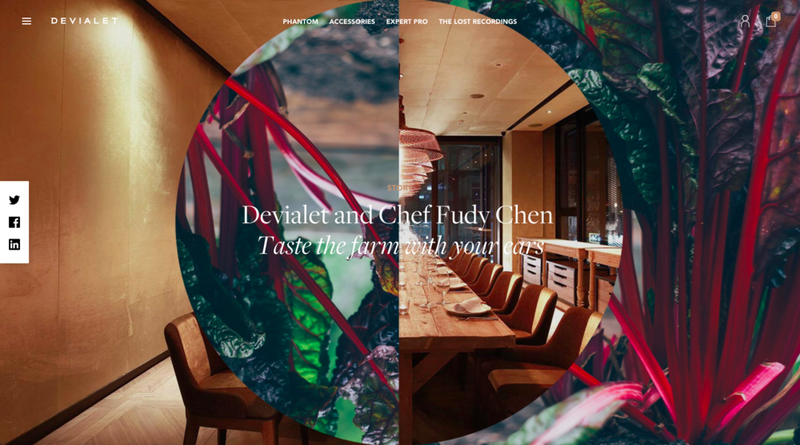 Devialet partnered with Chef Fudy Chen and Taipei’s Hotel Proverbs to present a full sensory dining experience from “table to farm”. Six Phantoms immersed diners with a farmland soundscape, unfolding and developing in tandem with each course. Web content, social media marketing, and direct email marketing. 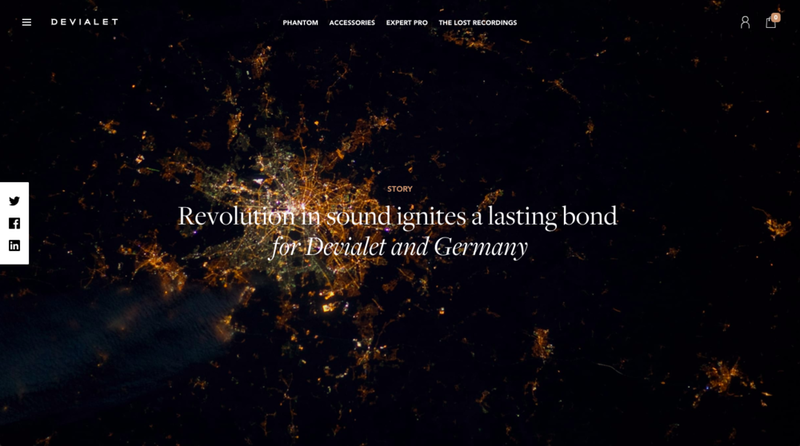 Devialet expanded throughout Germany with permanent stores in Munich, Frankfurt, and Berlin and first-place awards at local German audiotech trade shows. Web content, social media marketing, and direct email marketing. Announcing an exclusive release from Devialet’s branded partnership with Paris’ Palais Garnier. 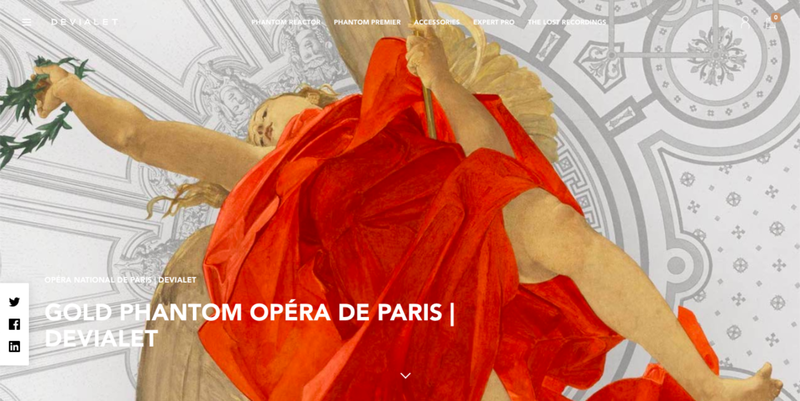 In addition to announcing the limited edition Gold Phantom, the campaign also advertised live opera performances streamed through the Live on Phantom program. Web content, social media marketing, and direct email marketing. Devialet’s partnership with Fondamenta is dedicated to restoring and remastering forgotten recordings from musical greats throughout history. The Lost Recordings released this collection of Emil Gilels piano recitals as it expanded from jazz staples to the world of classical music. 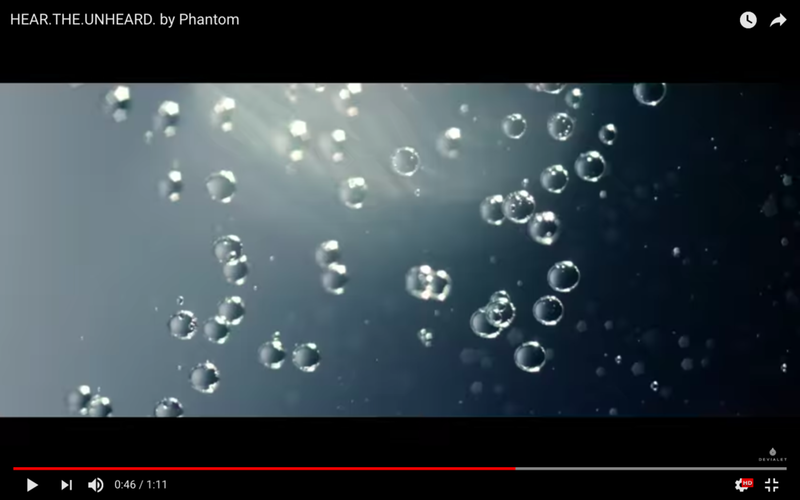 We designed the “Hear the Unheard” campaign to highlight Phantom’s unparalleled fidelity, quality, and range. Creative around the proposed tagline included social media marketing, concept videos, digital advertising, etc.